So here we are, at the cusp of a new semester of school. Since I graduated in May, this fact should have no impact on my life; however, prior to my long-awaited graduation I did the unthinkable and applied to graduate school. The graduate committee proceeded to do the unthinkable and accepted me into the program. Rotten luck, that. If they had only turned me down, I wouldn't feel obliged to go. But, despite my abysmal GRE math scores I have been admitted to the history program and begin school next Monday. I have three evening classes, running from 6:30 to 9:20, Monday through Wednesday. I gleefully believed my time for sitting through long evening classes had come to an end, but it was not to be. Honestly, I'm not going into this latest endeavor with my whole heart as I did when working toward my undergraduate degree. My undergrad degree was my goal, my dream, and it had my full attention. I was determined to succeed and obtain my degree, no matter how long it took or how difficult it became. I don't feel that way about grad school. It's almost like I'm must testing the waters with this first semester. Can I stand to do the school thing for another year and a half? Is it worth it to me, to deal with the homework and the time spent studying? I don't have the answers to these questions yet, but I soon will. I'll let you know. Meanwhile, following a trip to China, I have been working part-time, continued with my volunteer efforts at the archives with a project that is taking longer than I anticipated, and I have been writing a book that I hope to complete before the end of the year. Not much going on, as you can see. Also, as promised in an earlier post, I have begun two new blogs. One is about family history/genealogy, and the other about Ozarks/Missouri history. And just to top things off, I have a new Facebook page devoted to history and genealogy, located here. I hope you will stop by and visit me at my new locations. I will still pop in here from time to time; without a doubt I will have a few rants to make about grad school! So, in just three short hours I will be at the end of my journey. It has been a long time coming and I suffered many sleepless nights along the way, but here I am. I didn't think about it much all semester, not until a few days ago when I went to the university bookstore to pick up my cap and gown. Suddenly it was real; I was really going to graduate! That's when I got excited! Yesterday I was picking out my graduation clothes and I tried on my cap. That's when I started crying. It was the Fall of 2006 when I decided to take a couple of online classes. I knew what I wanted to do but was afraid to admit it to myself. In the back of my mind I was thinking of going all the way to a Bachelor's degree, but it really seemed like an impossible dream. A year later, I had admitted to myself, and out loud, that I wanted to obtain a degree. It still seemed impossible and I spent many sleepless nights wondering what I had done. During the day anything seemed possible; at night I felt nothing but fear. In the darkness I stared at the ceiling, wondering what I had gotten myself into, knowing that this was a goal beyond my reach. By 2009 I was finally in my degree program--history. I had come a long way, but at this point I was still expecting to fail. Each class I began had me wondering--will this be the class that I fail? A couple of semesters later I still hadn't failed and I started to accept that this was something I could do. I finally began to believe in myself. It didn't come easy; because I was going mostly part time and working full time, it took my longer than is typical to complete my degree. That gave plenty of time for fears and self-doubts to follow my every step. As I got closer to the end I had gained more confidence and then began to fear that life would somehow interrupt my journey and prevent its completion. As you can see, I am always able to find something to worry about. Blogging became an important aspect of my school adventure in late 2009. Feeling stressed and in need of an outlet, I began blogging about some of my experiences as a non-trad. As it turns out, I was not alone in my journey and I discovered an invaluable support network in the blogosphere. There are wonderful people from around the world who are on the same journey and have experienced some of the same doubts and stress and occasional indecision as I have. Some have already graduated and have moved on to the next level of education; some are on the first leg of the journey and are looking forward to the day when they pick up their cap and gown for the first time. Kudos to all of you, and thank you for your support. My days are filled with murder. Murder for money, murder for love, and murder for, well, family issues. I've read two books for class so far this semester, the first one titled Never Seen the Moon,The Trials of Edith Maxwell. Edith was a schoolteacher in western Virginia in 1935, when a late night altercation with her father landed her in the local jail, charged with murder. Edith's story is told by journalist Sharon Hatfield. Her book is a non-academic, but very professional, non-lurid true crime story that focuses on Edith's ordeal in relation to women's rights and the impact of yellow journalism. I enjoyed reading this book. The second book is Murder on Rouse Hill by Alan Terry Wright, in which we learn the true story of how Jasper Francis was murdered by Charlie Blackburn over $1200 worth of cattle and his substantial bank account in the small town of Stoutland, Missouri in 1915. This book is written in creative nonfiction style, which quite frankly, is not my cup of tea. I skipped over many of the "creative" parts of the book, such as the scene where the horse, Sam Hill, is dreaming. Seriously? Despite my reservations about the books style, it is nonetheless an interesting and readable account of murder in the Ozarks. In addition to these books I've managed to read one account of my murder, the Graham-Lee-Molloy case. George Graham had three women in his life (oops), two of which were his wives (double oops), and therefore one of them had to go. The account I read was produced in 1886 and reprinted by the local archives, where I just happen to volunteer. I also have a stack of about three hundred documents that I copied from the archives collection but have not yet had a change to read. In addition to these primary sources, I have numerous local history books that I want to read to get a feel for the Ozarks of 1885. Maybe if I wear period clothes, turn out the lights and lay on the bed, I will be transported back in time just like Christoper Reeve in Somewhere In Time. A girl can dream, right? Before we look forward let's take a quick look back at last semester (since I've been so negligent in posting, sorry). The semester was long and tedious and I finished it with two A's, an A-, and a B. Fortunately, I've learned that a B is acceptable so I am a happy camper. Looking forward, after a five week break from school my last semester begins tomorrow. I have one last class to take before I graduate on May 18. The subject of the class is Murder and Memory in the Ozarks. Each class member will write a research paper about, you guessed it...a murder that took place in the Ozarks. Much of the information for this paper will come from the county archives, where I just happen to be a volunteer. I do have a few plans that will hopefully come to fruition sometime prior to my last day of school. I'm going to begin two new blogs at Wordpress...that is, if I can figure out how to use Wordpress. This blog will end by May 18 and I would like to have my new ones already up and running. One will be a family history blog and the other will be about the Ozarks and Ozarks history. My plan is to incorporate this semesters research paper into my Ozarks history blog. Hopefully at least one of these new blog subjects will be of interest to someone besides myself though, quite frankly, I'm still a little amazed that I have followers on this school blog. I've been both surprised and pleased to have enjoyed an audience of friends and fellow non-traditional students like myself, who have been willing to listen to my rants about my school experiences and to have had the privilege of following them on their journey as well. These blogging friends have been a tremendous support group during my long journey through school. Though this oft-neglected blog is about to runs its course, I will still be following the blogs of those friends I've made here during the last few years. I appreciate each and every one of you. I still can't comprehend that I'm finally almost finished; what will life be like without school; who will I be when I am no longer a student? I already feel lost and apprehensive and the end is still four months away. 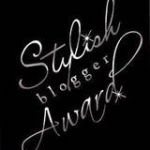 I am a little behind with this, but thank you so much Caz, for nominating me for the Liebster Blog Award! According the Caz, the Liebster Blog Award is given to blogs with fewer than 200 followers, containing good content and warranting more support. Well, we can certainly all use a little moral support, so right back at ya Caz. 1. Acknowledge who gave you the Liebster Award by thanking them and linking back to them. Thank you, Caz. You are always an encouragement and inspiration to me, as well as entertaining! 1. My Life as a Mature Age Student - for the reasons stated above. 2. Studying Parent - for admiration at her determination to fulfill her educational dreams. 3. Diaries of a Neurotic Non-Trad - for helping me survive my first "B". 4. The Non-Traditional Student Blog - for always being an encouragement to us non-trads and for her wealth of information for students. 5. Old Girl at Uni - for providing an interesting glimpse into her world as a non-trad. 3. Rule #3: Post the award on your blog. 4. Enjoy the love and support of some wonderful people on the www!!! Keep posting, keep commenting and keep being positive. There are many more blogs that deserve mention; check the blogroll for many more lovely blogs! Please excuse me for not blogging lately, but I have been fed up with anything that resembles writing or reminds me of school. During what should have been my most focused and carefree semester (since I'm not working) has instead been quite difficult as I have come down with a bad case of senior-itis. This condition is characterized by an extreme lackadaisical attitude toward school, homework, and tests and almost a total lack of concern for grades. I couldn't understand the cause of my attitude until I heard other students complain of the same ailment. I was glad to discover that my experience is normal and that I haven't lost my mind, at least not anymore than the other students. All I can think about is that I want this to be over; I am ready to move on to the next thing, whatever it may be, and though my body continues to attend classes, my mind is done with it all. So, yesterday I took my first final, in Literature of the Ozarks, and I think I did well enough to keep my "A". I know it may be difficult for anyone to believe that we have actual literature in the Ozarks, but, for better or worse, we have Harold Bell Wright, Donald Harington, and Daniel Woodrell. So there you are. On Wednesday evening I was required to read my seventeen page senior seminar paper in front of the class. I'm not one for public speaking, but I survived well enough. My professor says I have a good paper and I had very little re-writing or correcting to do before I handed in the final draft. Based on my professors comments I am hoping for an "A" in this class also. As for my Middle Eastern history class, my final is next Tuesday evening and I am hoping to scrape by with a "B", but will settle for a "C". I know, I know, there was a time when anything less than an "A" would have sent me straight to therapy; this just goes to show how extreme is my case of senior-itis. On Monday morning I have a final in Fundamentals of Tourism and an "A" is possible, though not probable, in this class. I haven't particularly enjoyed this class but it is part of my Ozarks Studies minor and I had to take something, like it or not. All things considered, I am so happy, happy, happy, that this semester is almost over. Next semester I will have only one class which is "Murder and Memory in the Ozarks", the final class I need for my minor. I'll be researching and writing about an historical murder in the Ozarks. Can't wait! I'm also looking forward to being a volunteer and the County Archives. Historical documents everywhere and I can see them and touch them! I'm not sure yet how many hours I will work or how long I will be able to volunteer, but I feel as though I am finally doing something with my life that is relevant to me and I am looking forward to the future. Well, that is what's been going on. Hopefully everyone hasn't forgotten me! Where to get support and help if you are a Nontraditional Student. Also: Who is a Nontrad?